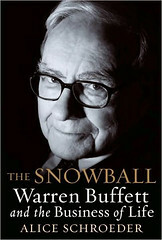 Back in December 2008, I had the pleasure of speaking with Alice Schroeder for about 45 minutes on WRKO Boston about Snowball, the first and certainly the last authorized biography of Warren Buffett. Schroeder scored the most coveted assignment in financial journalism, writing THE official Bufffett biography, not because of her work as a journalist, but as a Wall Street analyst who covered Berkshire Hathaway, Buffett’s company. At the time, Buffett told Schroeder to write a warts and all account, and so she did. 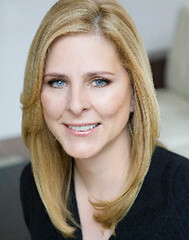 Buffett has not spoken to Alice Schroeder since the book came out. That in and of itself is a window into the character, and flaws, of the world’s greatest investor. What were they thinking? How could Warren Buffett excuse David Sokol’s trading in Lubrizol Corp. (LZ) stock while Sokol was pitching the company to Berkshire Hathaway Inc. (BRK/A) as an acquisition candidate? On Wall Street, we call this kind of trading front-running, and everybody knows that it is wrong. People get fired for doing it. Sokol said that he is leaving Berkshire to pursue other business interests, and the timing is linked to Berkshire’s April 30 annual shareholder meeting, which is attended by tens of thousands of people. That’s probably true, in a sense. Buffett must want this mess cleared up and out of the way before he has to take questions from shareholders. I cannot recommend Snowball: Warren Buffett and The Business of Life any higher, it is just an amazing profile of this fascinating, complicated man. Few people in the world have the insight into Warren Buffett as Alice Schroeder does. It was an honor to welcome her back to the show.